In recent months, it hasn't been unusual for Lincoln dealers to average fewer than 10 new vehicle sales per month--that means your local dealer will be happy to see you. With a thinning of the Lincoln dealer ranks inevitable, buy from a dealer you think will be around for a while. Before you sign on for Ford's SYNC system, make sure your audio player and cell phone are compatible and work well with it. The 2008 Lincoln MKZ is a credible luxury bargain, with all-wheel drive and heritage styling cues as its killer apps. TheCarConnection.com's team of car experts studied reviews from reliable Web sources to put together this comprehensive review of the 2008 Lincoln MKZ. Editors from TheCarConnection.com also have driven the 2008 Lincoln MKZ, including examples fitted with all-wheel drive, to provide you with firsthand advice about this mid-size, entry-luxury sedan. This review also compares the 2008 Lincoln MKZ with other vehicles in its class to help you make the right choice in a new car. The 2008 Lincoln MKZ is a traditional entry-level luxury sedan. 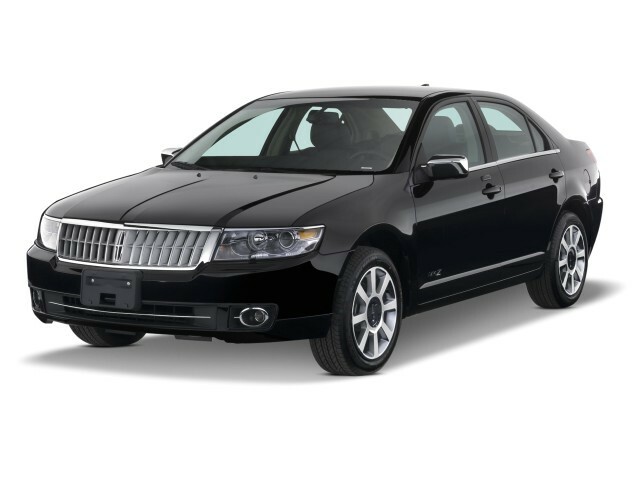 To remain affordable, the Lincoln shares many components with the Ford Fusion and Mercury Milan, but wraps them in a nicer package. This equation is followed by plenty of manufacturers, including Lexus creating models off Toyota platforms, and Infiniti developing cars out of Nissans. The MKZ name came into being in 2007, but the model actually originated as the all-new 2006 Lincoln Zephyr. In an unusual marketing move that recognized the competitiveness of the automobile business, Lincoln canned the Zephyr name after it significantly upgraded the model to become what you see as the 2008 Lincoln MKZ. Classic Lincoln styling helps the 2008 MKZ stand out from other luxury cars. The look is clean, crisp, and modern with just enough heritage to make the car immediately recognizable as a Lincoln without being slavishly retro. The standard running gear for the front-wheel-drive MKZ is a 3.5-liter, 263-horsepower V-6 engine and six-speed automatic transmission. The 3.5-liter V-6 was recognized by a respected industry publication (Ward's) as one of the world's 10 best engines because of its design and ability to produce its power on regular unleaded fuel. All-wheel drive is an option. Standard safety features include anti-lock brakes, traction control, and side plus side curtain airbags. Performance in government crash tests is solid, but the IIHS side crash test only earned an "acceptable" rating. Electronic stability control is not offered, a curious omission for a car in this class. Inside, the 2008 Lincoln MKZ is roomy and comfortable (Lincoln claims the roomiest in the class). Editors from TheCarConnection.com especially appreciated the standard front seats that included both heating and cooling settings. For Lincoln, 2008 was the year to make these seats standard, and while they were at it, they also added these items to the standard features list: a reverse-sensing system; Ford's SYNC system, which uses Bluetooth connectivity and a touch screen to control communications and entertainment; Sirius Satellite Radio; and a tire pressure monitoring system. All of this equipment resides in an interior that looks and feels rich, a sensation helped by the nice leathers and genuine woods, as well as tight panel gaps. On the road, the interior is quiet, though the powertrain can get graunchy. Visibility is excellent. Dynamically, the 2008 Lincoln MKZ handles well but unremarkably. Acceleration is quick in front-wheel-drive models, but the extra weight of the all-wheel-drive system slightly dulls throttle response. If you need to deal with snow where you live, this is a worthwhile trade-off. 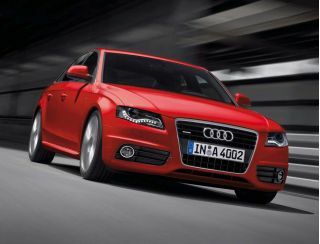 The Audi A4 and Lexus ES 350 are both front-drive sedans (the ES is based on the Toyota Camry platform). The Audi is sportier than the Lincoln, but smaller. The Lexus is more sedate than the Lincoln, but that's the way Lexus buyers like their cars. The rear-drive cars of this group are much more sporting in terms of driving personality and dynamics. The BMW 3 Series remains a performance benchmark that the 2008 Lincoln MKZ just can't match. However, the MKZ provides more room and value over the BMW--ditto for the fine-driving Infiniti G35. The 2008 Lincoln MKZ sedan intrigues TheCarConnection.com’s editors with its creased look and tall dash, but could be more distinctive. The Lincoln MKZ carries a theme of “angular styling touches” throughout its sheetmetal and interior, Cars.com says. Edmunds agrees that the “exterior styling includes the familial Lincoln waterfall grille and tasteful chrome trim.” Car and Driver notes "the styling is plebeian," and the Washington Post finds that the Lincoln MKZ "looks dated, like something for little old people." Kelley Blue Book, though, remarks the Lincoln MKZ has a "casual, confident and more understated design,” and adds, “with its bold waterfall grille, jewel-like quad projector-beam headlamps, judicious use of chrome trim and low-profile tires on 17-inch, eight-spoke machined aluminum wheels, the 2008 Lincoln MKZ certainly looks the part of a credible midsize luxury sedan." The 2008 Lincoln MKZ earns kudos for its handling and engine power, but it’s a bit softer than some sport sedans in its class. The 2008 Lincoln MKZ sports a high-output V-6 engine and all-wheel drive—something Lincoln fans might not be accustomed to seeing in their car. AutoWeek reports that the Lincoln MKZ's "six-speed automatic transmission go about [its] business without frenzy; shift changes are smart but without a kick." ConsumerGuide is in accord here, saying that the "transmission is generally smooth and prompt," but notes that the MKZ "does not offer a manual shift gate." Motor Trend observes, “The transmission is a willing player, offering a gear for every occasion and smooth shifts, although there's no manual control over its six ratios.” All-wheel drive is an option on the MKZ. ConsumerGuide establishes "19.4 mpg in city/highway driving, 23.2 mpg with more highway use," adding that the "MKZ uses regular-grade gas." The EPA rates it at 17/24 mpg for AWD versions, and 18/28 mpg for front-drive MKZs. Those who are nostalgic for the "good old days" of super-sized American luxury cars will find something to like about the 2008 Lincoln MKZ. The 2008 Lincoln MKZ sports a cabin with better room than expected, but some interior trim isn’t in the Lexus league. AutoWeek notes that "Lincoln MKZ seats are supportive without being too stiff or soft," while "six-footers get ample headroom and legroom" according to ConsumerGuide, which adds that "seats are a rewarding blend of soft padding and comfortable backrest contours." Most impressive to TheCarConnection.com’s team of auto experts is the backseat; Kelley Blue Book reports "rear-seat space is surprisingly generous, with more than three feet (!) of legroom." 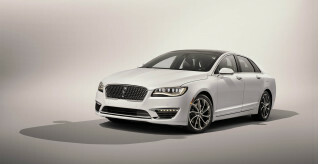 Noise is no problem, however; according to ConsumerGuide, Lincoln MKZ tires "are heard only on the coarsest surfaces. The engine has a pleasant hum while cruising but has a slightly ragged growl in rapid acceleration." There are sport sedans with better crash ratings and features than the 2008 Lincoln MKZ, but it performs well enough. The 2008 Lincoln MKZ gets reasonably high crash-test scores and comes with a wide array of standard safety features. The National Highway Traffic Safety Administration (NHTSA) gives the MKZ a four-star rating for front impacts, side impacts, and rollover resistance. The Insurance Institute for Highway Safety (IIHS) rates the MKZ “good” for front impacts, but only “acceptable” for side impacts. Edmunds notes these are "rather average crash ratings for a car in this class." Safety gear, Cars.com reports, includes "all-disc antilock brakes, side-impact airbags for the front seats and side curtain airbags," but "an electronic stability system isn't offered" on the 2008 Lincoln MKZ. That’s an omission that costs the MKZ some points and, no doubt, some customers. Edmunds notes that the Lincoln MKZ "head airbags include a 'roll-fold' feature that helps to keep the airbag against the glass even if the occupant is out of position." Visibility issues are not addressed in any of the reviews normally consulted by our team of experts, but in TheCarConnection.com’s editorial experience, the MKZ suffers from a somewhat short glassy area and deeply set seats; combined with the tall dash, the driver and rear passengers don’t have the panoramic view out offered by some taller, glassier vehicles. The 2008 Lincoln MKZ scores some points on the competition with available all-wheel drive and SYNC. The 2008 Lincoln MKZ offers the kind of features expected in this class—plus a couple that are rarer in the second tier of sport luxury sedans. Edmunds reports “17-inch alloy wheels, leather upholstery, wood trim, heated and cooled power front seats with driver-side memory, dual-zone automatic climate control and a seven-speaker CD stereo with satellite radio and an auxiliary audio jack” are standard on the MKZ. Car and Driver says "for the money, it offers an impressive list of standard equipment." Some of this "impressive" standard Lincoln MKZ equipment includes "a hands-free communication and entertainment system [which] integrates mobile phones and media players using Bluetooth and USB technology...and a reverse-warning system that beeps at drivers to warn of things behind the vehicle," according to Cars.com. Edmunds notes that this "Lincoln SYNC" system allows a "cell phone's address book...[to be] wirelessly and automatically transferred to the vehicle." 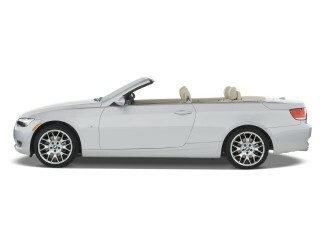 Cars.com reports the "interior options include a navigation system and a premium audio system with 14 speakers." Kelley Blue Book says "among the many Lincoln MKZ options are chromed wheels, a power moonroof, High Intensity Discharge (HID) headlamps and DVD navigation." 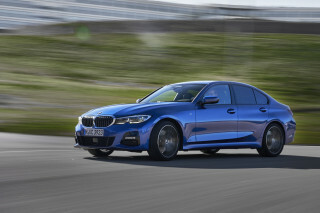 A THX-certified audio system is offered as an upgrade, and reverse parking sensors are also available, as is all-wheel drive—a scarcer feature among front-drive, luxury sport sedans.